AT UN PENSION FUND, WITH $1.8 MILLION IN UNAUTHORIZED SPENDING, SG GUTERRES TO KEEP ARVIZU? UNITED NATIONS, November 9 – With UN Pension Fund problems including late payments and $3.4 billion in foreign exchange costs leading to the departure of Secretary General Antonio Guterres' representative to the Fund Carolyn Boykin, who issued a gag order to staff not to leak to Inner City Press, problems remain. On Halloween we first wrote of Boykin's replaced Sudhir Rajkumar, triggering much feedback into which, despite the restrictions and threats by Guterres' Department of Public Information, we are digging. How much pension fund money was overspent on the 75 percent of services that were not bid for? (If there had been bidding for the other services, there may have been less use of $475 an hour partners. Having signed a contract for low-cost accountancy services, how did PWC accept to provide high-cost consultancy services without a new contract being signed? Was there collusion between PWC and Pension Fund staff? Doesn't the buck stop with, or in this case flow from, the CEO? And this: the six UN Participant Representatives have asked Guterres to NOT reappoint the current CEO of the pension fund, Sergio Arvizu. We've published the letter on Patreon, here. Already, the Board has proposed only a three year and not a five year reappoint. The six UN Participant Representatives say it should be zero, based on: "a poorly implemented new IT system with no contingency planning, leaving retirees without income, many for more than nine months; attempts, since blocked by the General Assembly, to remove OIOS as the Fund’s auditor; attempts to remove the Fund from the UN’s administrative oversight by creating new staff and financial rules; attempts to circumvent rules on procurement and receiving gifts. It should be noted that the current payment backlog to widows, orphans and retirees still numbers in the thousands. For almost three years the CEO has refused to meet with staff representatives at the Fund despite multiple attempts by staff. The CEO has misrepresented good faith and constructive efforts made by the UN’s Department of Management to resolve the situation involving two staff of the Fund’s Secretariat elected to the Board." 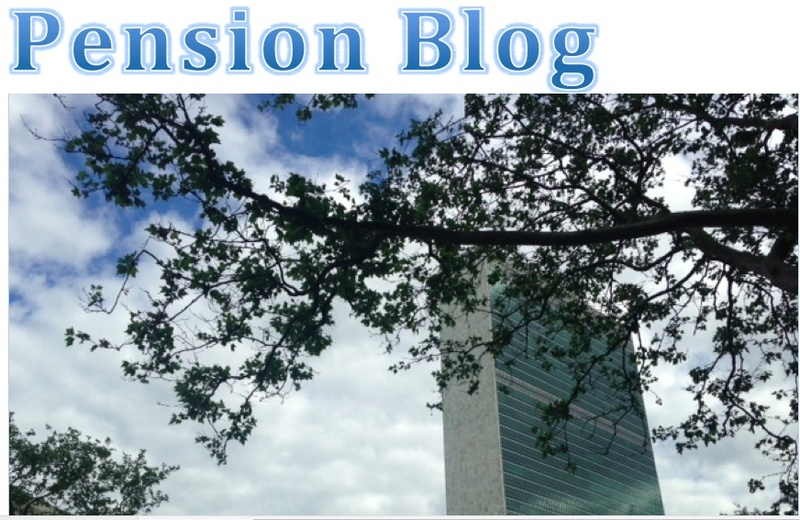 On this last, the "UN Appeals Tribunal last week ruled illegal a decision by the pension fund’s board to exclude two of the six members that you, as UN staff, elected back in April." We'll have more on this, and on what Guterres does."